I decided to take part in the first photo marathon in Görlitz during the Fotofestival 2017. We were given eight photo assignments, all having to do with the bigger theme of the festival which was “Lebenswelten” (living environments). We were told that they were looking for photos to be cohesive and have an overarching theme. When I got the photo assignments I immediately came home to brainstorm & try to come up with a theme that would set my photos apart. 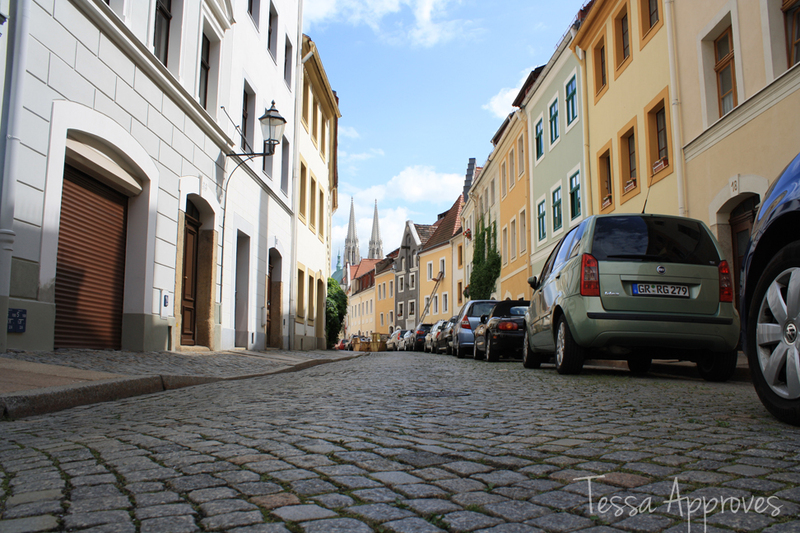 I decided that my photos would all be taken in the Nikolaivorstadt – my favorite neighborhood in Görlitz, where we are renovating a house. I did my best with what I had: my talent level, my equipment and the weather in Görlitz. No cell phones were allowed and we had to use a digital camera – absolutely no editing was allowed outside of the settings on your camera. The photos had to be taken in the order given, so you couldn’t go back and redo any unless you wanted to redo them all. We had six hours to finish and turn in our SD cards for judging. 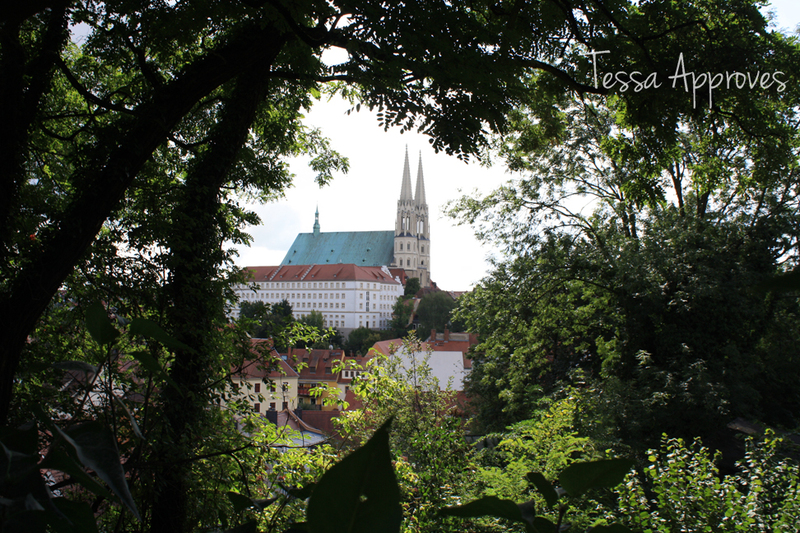 I (mostly) enjoyed myself – I like taking pictures of Görlitz! But it also got quite exhausting towards the last few pictures and a bit frustrating when they didn’t turn out like I’d hoped. 1. Start-Nummer fotografisch in Szene setzen. 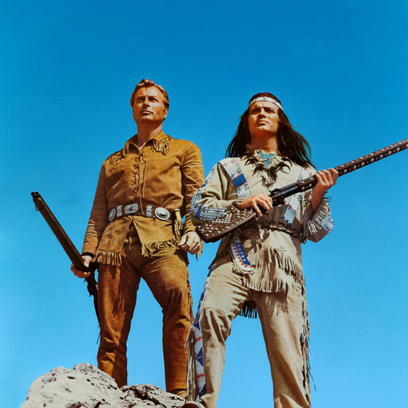 Beginne deine Serie mit deiner Startnummer. / Stage your starting number. Begin your series with your starting number. 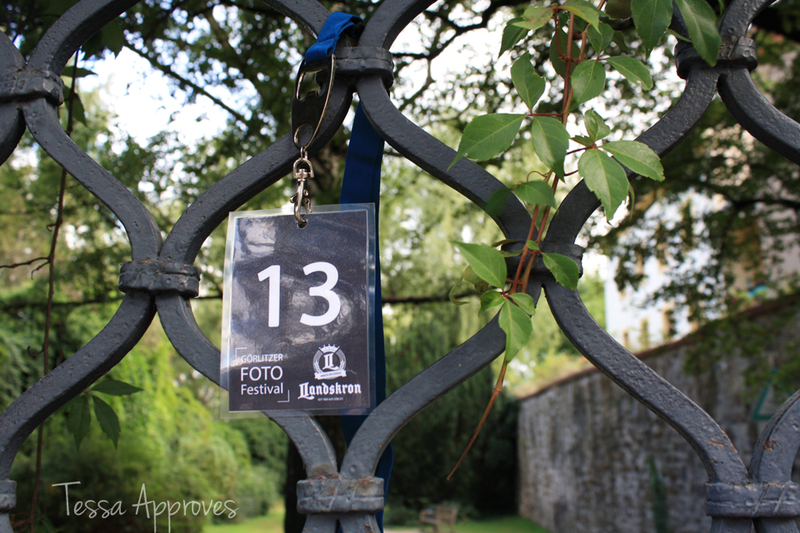 I tried for a while to find the number thirteen in a cool style on houses in the neighborhood but quickly realized I was wasting far too much time and not finding anything so I gave up and took a picture of my lanyard with starting number hanging on the entrance gate to the Nikolaizwinger, a green path between the former city walls. 2. 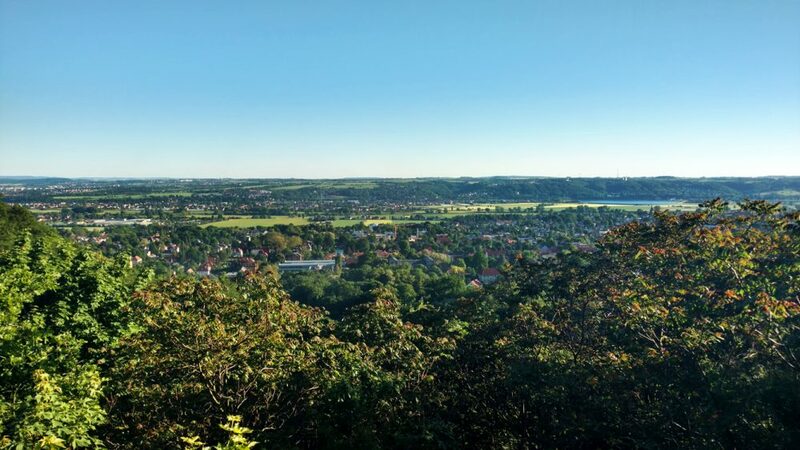 In jeder Stadt gibt es unzählige Türen, in Görlitz gibt es sehr viele alte Türen und Portale. Finde einen EINGANG, der dich besonders anspricht und setze ihn so in Szene, wie du es magst. 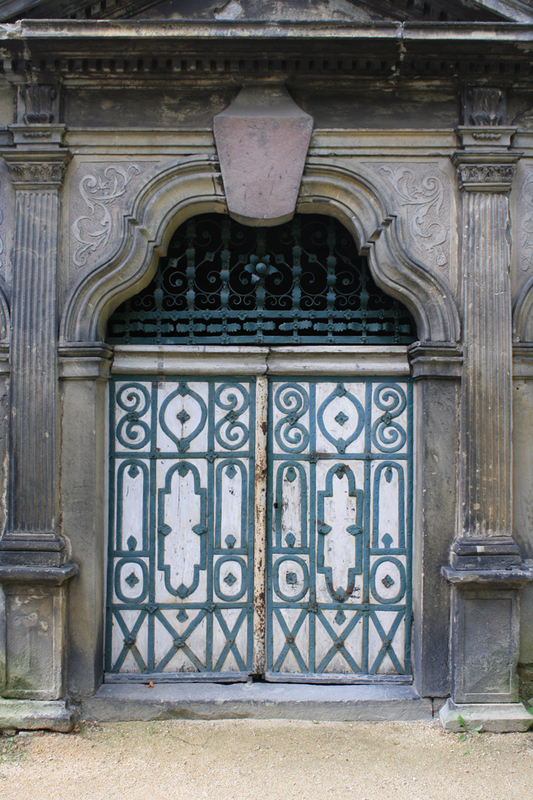 / In every city there are countless doors, in Görlitz there are many old doors and portals. Find an entry that appeals to you and stage it as you like. 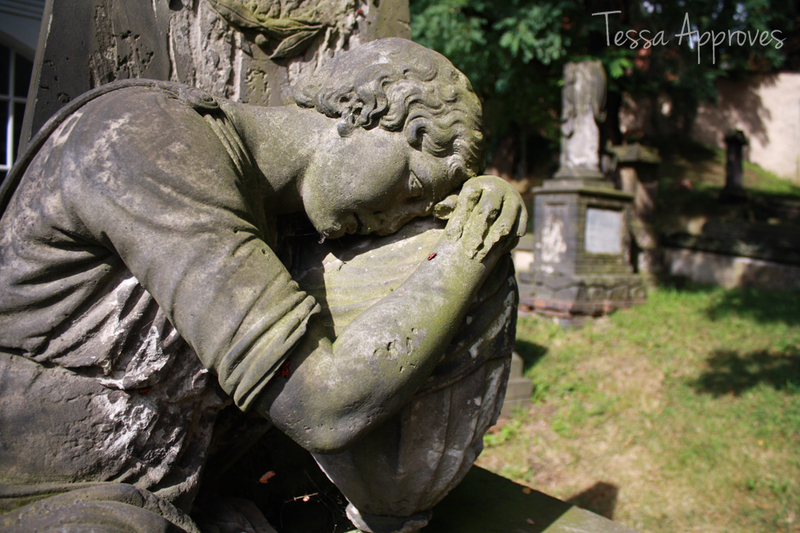 I took this photo inside the Nikolaifriedhof, the super old cemetery beside the Nikolai church. This is the door to a crypt. I decided afterwards that I would prefer all of my photos to be in landscape orientation but this is the best photo I had for the door theme and what I ended up going with. 3. Wasser – ist das Lebenselixier einer Stadt. Du findest es in vielfältiger Form. Stelle das Element WASSER im Bild dar. / Water is the lifeblood of a city. You can find it in many forms. Present the element WATER in your image. I initially wanted to take pictures at a fountain near the Nikolai church but the lighting was not right and I didn’t like the pictures, so I ended up going to Ölberggarten (Mount of Olives Garden) which is part of the Heiliges Grab – Holy grave replica in Görlitz. 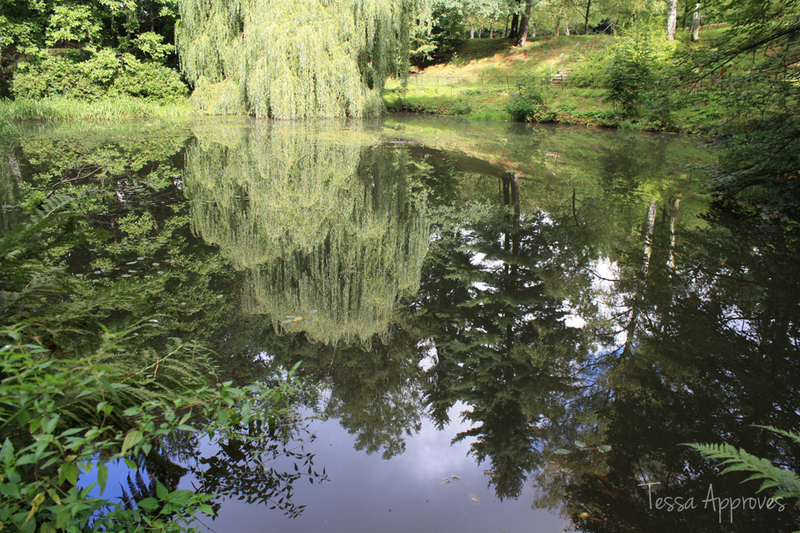 I was happy with the amount of reflection I got at the pond in spite of the mostly overcast skies. 4. Heilige Stätten – viele mittelalterliche Kirchen zeugen von einer bewegten Vergangenheit. Sie sind aber auch Orte der STILLE. Halte einen Moment des Innehaltens und der Besinnung fest. / Sacred sites – many medieval churches testify to a turbulent past. But they are also places of SILENCE. Hold a moment for pause & reflection. Because I had decided to focus on the Nikolaivorstadt, the choice of church was easy – the Nikolaikirche. The inside has long been used as a memorial instead of as a church, so I decided to take a picture in the graveyard because it is always so peaceful and quiet there. It happened to be quite noisy and full of people setting up for an event while I was there photographing but at least that isn’t evident in the photo I took! 5. Görlitz – die Stadt der Türme. Es gibt bestimmt an die 100 Türme und Türmchen. Türme bieten ungewöhnliche PERSPEKTIVEN. Zeige uns deinen Blick durch den Sucher! 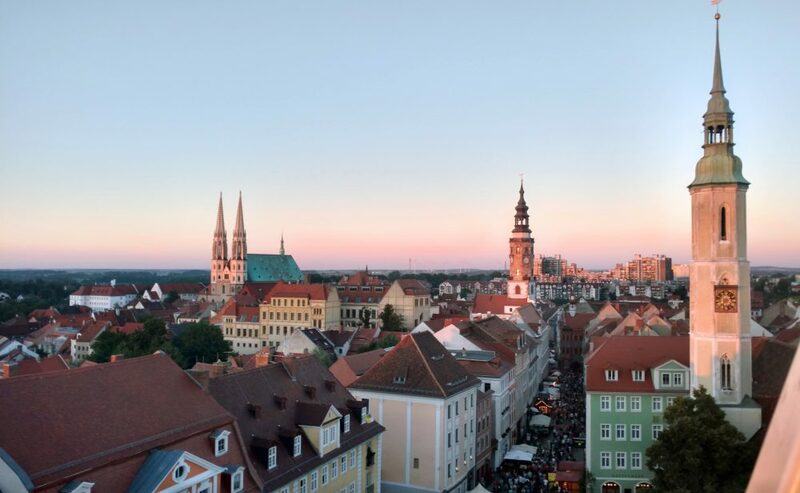 / Görlitz – the city of towers. There are certainly hundreds of towers. Towers offer unusual perspectives. Show us your view through the viewfinder! The Nikolaiturm wasn’t open during the marathon and I thought taking a picture of it might be too obvious and what everyone would be doing. Then I realized that from our favorite little park in the Nikolaivorstadt you have a really nice view of the church towers. 6. “Wem die Zeit ist wie Ewigkeit, und Ewigkeit wie die Zeit, der ist befreit von allem Streit.” (Jakob Böhme) Fotografisch bietet sich ein Spiel mit der Verschlusszeit an. Versuche das Thema ZEIT im Bild umzusetzen. / “To whom time is as eternity , and eternity as time, is liberated from all strife.” (Jakob Böhme) Playing with shutter speed is an idea. Try to implement the topic TIME in the picture. There are no clocks that I’m aware of in the Nikolaivorstadt so I had a hard time coming up with something for this. I decided I wanted to show the changing colors of the leaves to represent time passing. 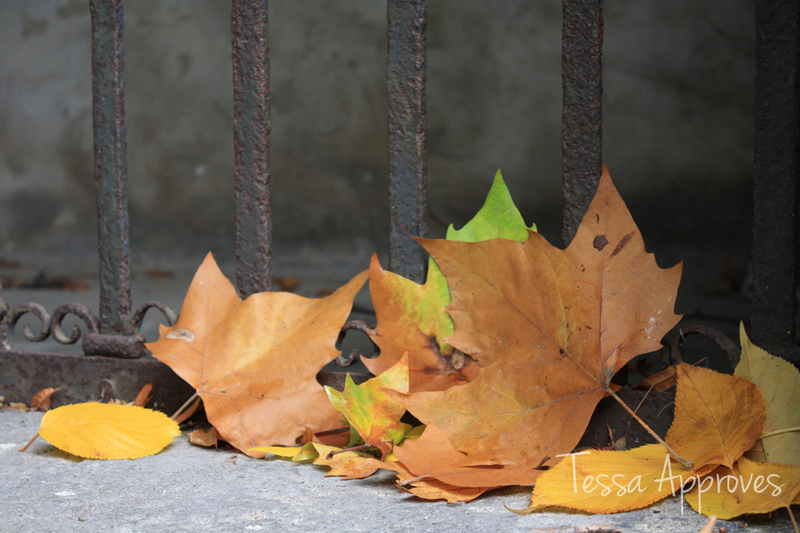 I tried to get some pictures of the leaves falling when I dropped them to play with shutter speed but it didn’t work out how I wanted, so this is what I came up with. I actually collected the leaves and arranged them there, shh! Don’t tell anyone. 7. Görlitz – bereits seit 1869 wird das köstliche Landskron-Bier gebraut. Der Genuss gehört heute zum Lebensgefühl vieler Görlitzer. Spuren der LANDSKRON -Braumanufaktur findest du überall in der Stadt. Spüre sie auf und halte sie in einem Bild fest. / Görlitz – since 1869 the delicious Landskron beer has been brewed here. Today the enjoyment belongs to the feeling of many Görlitzer. 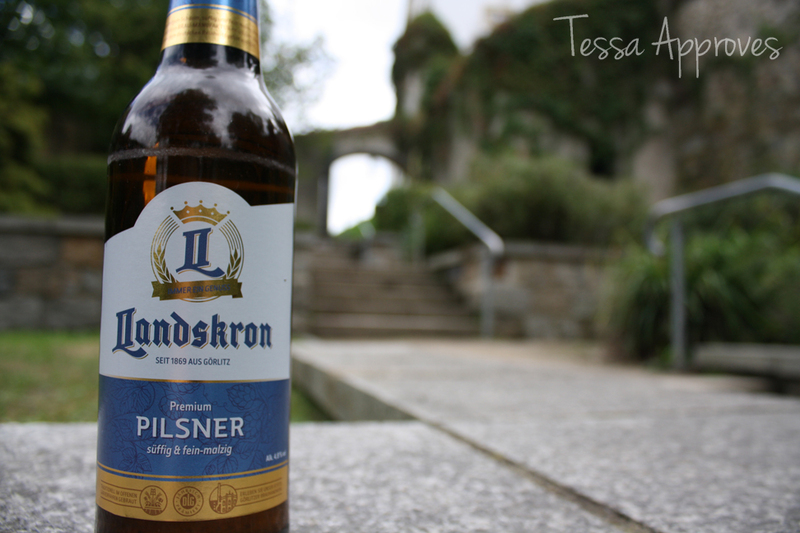 Traces of the Landskron brewery can be found all over the city. Find them and show them in a picture. I really don’t think there are any signs of Landskron brewery in the Nikolaivorstadt so I decided to bring a beer with me to enjoy somewhere on my long walk. This was taken inside the Nikolaizwinger. 8. Pflastermüde – das Görlitzer Kopfsteinpflaster hat es in sich. Wahrscheinlich geht es nicht nur dir so? Wie FÜHLST du dich kurz vor dem ZIEL des Marathons? Wie geht es deinen Füßen? / Tired from walking – the cobblestones of Görlitz pack a punch. Probably not just you? How do you FEEL just before reaching your end goal of the marathon? How are your feet? I was indeed very worn out by the time I got to this picture. I felt like taking a shot of my feet on the ground was a bit too “instagrammy”, so I noticed this cool view from Steinweg, one of the prettiest and oldest streets in Görlitz. I waited until no one was around and then I laid down in the middle of the street on my belly to get this shot. I’m glad that I participated in the photo marathon, even though some of the participants and the judges were overall more serious & professional than I anticipated. I think it would have been nice to have a few laymen on the jury in addition to the photography experts and would have made it less intimidating for more casual participants like me. It was nerve-wracking to have to take the photos in order and to not be able to touch them up at all – these are photos I normally wouldn’t post to my website without touching up a bit. I also think my theme was not apparent to the judges & feel that I would need to do something more obvious next time to stand out. You can see the winners of the marathon at this website. There were some really beautiful photos taken that made me feel out of my depth, and a few others that had me scratching my head a bit. I’m not sure if I’ll take part next year – we’ll see how I feel when the time comes! 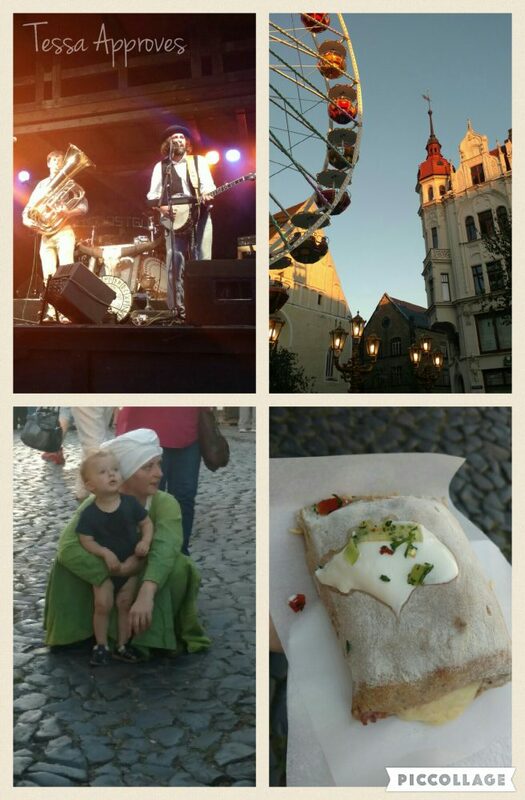 The 22nd Altstadtfest (old town festival) in Görlitz has come and gone. This was my second time at the festival and we attended on Friday evening. The first time was nine years ago (!) when we had just moved to Germany to live in Dresden for two years. Somehow I feel like those two years went by in a blur of homesickness & confusion, so I was very excited to get to experience the festival again this year! 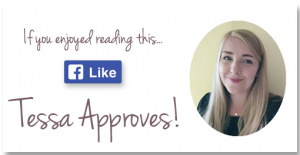 I planned out the things I wanted to see, do and eat and dragged my semi-willing husband and Schwager (brother-in-law) along for my program. We were lucky to have beautiful weather and the sun was shining when we arrived at the festival quite early. We started by just generally checking things out and catching the traditional Anblasen at the Untermarkt, the start of the festival with the blowing of horns. There were many people dressed up in middle-ages or renaissance style costumes and vendors were selling things like local products & art, costumes, & toy swords for the kids. Next we headed to the Altstadtbrücke (old town bridge) to see the opening of the festival with the mayors of Görlitz and Zgorzelec and the firing of the cannons. The bridge was crowded with people and they spoke about the partnership between the two cities, releasing balloons that were in the colors of the German and Polish flags. In Zgorzelec they also had a festival coinciding with the Altstadtfest, the Jakuby fest. 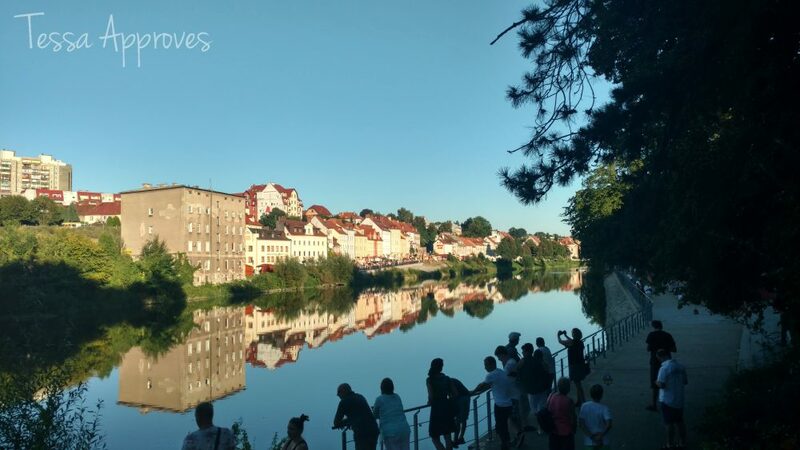 Jakub Böhme is a prominent figure in the history of Görlitz/Zgorzelec, so if you are at the festival next year make sure to cross the bridge so you don’t miss this part of the celebration! After that we were ready to try some food and drink. The beer was flowing freely in our group of three and so I stood in line to try a Heurekaner, which was a pocket of bread filled with cheese and ham and topped with sour cream. My husband had a huge piece of meat on a skewer. For dessert I had Quarkbällchen, fried balls of quark dipped in sugar. Both were delicious! Next on my agenda was to ride the Riesenrad (ferris wheel) for beautiful views of Görlitz. We even rode twice because the view was so nice! Beware – if you are not riding with someone very young or elderly they will give your car on the ferris wheel a good spin before you go up! Luckily I did not become ill and lose any of my Quarkbällchen. The next thing we did was to catch one of the many live musical acts at the festival. 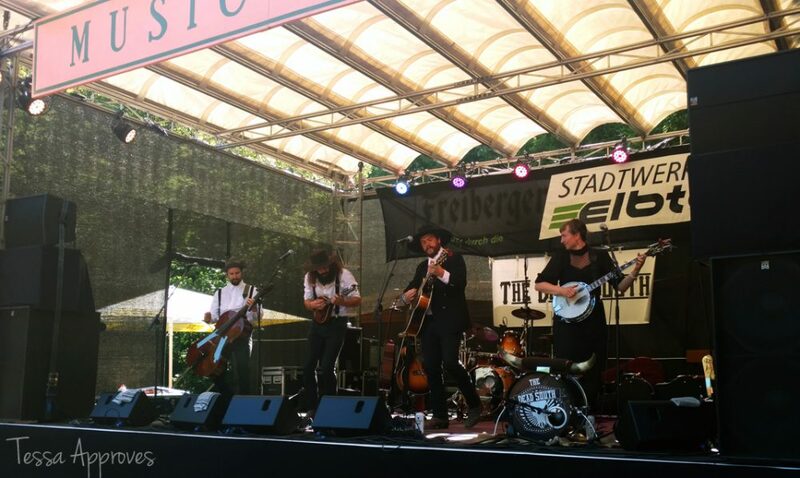 We headed to the stage at Untermarkt and saw the band Triple Trouble play. They were a three man group and I was very excited to see that one of them was playing the banjo! If you don’t know, I have just started learning to play the banjo this year, so this made me very happy. The band was hilarious and I felt proud for understanding all of the jokes they told inbetween playing many well-known cover songs. I can remember when we first came here in 2007 not being able to understand such things, so it’s nice to relish in my hard-earned German abilities! I enjoyed the band so much that I purchased their CD and will be following them to see where they play next. Because of our jet lag we did not celebrate as heartily as we might have but now I expect to be able to go to the Altstadtfest every year and look forward to the 23rd (and my third) festival in 2017! 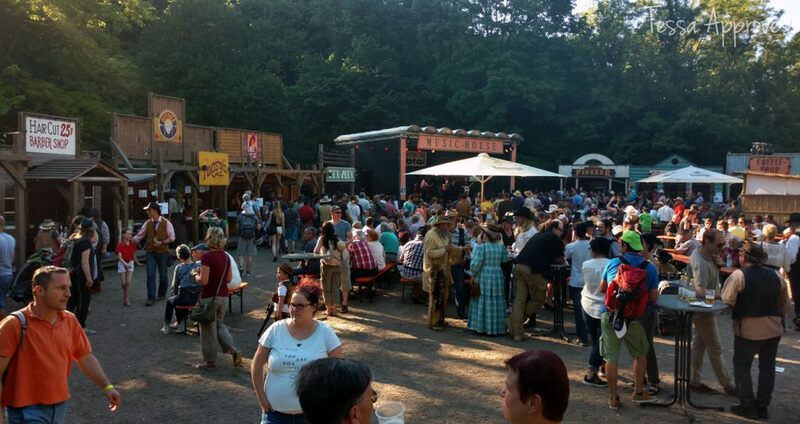 It’s a great experience to see all of Görlitz out enjoying the beautiful sights, weather and entertainment. And entrance to the festival is completely free! 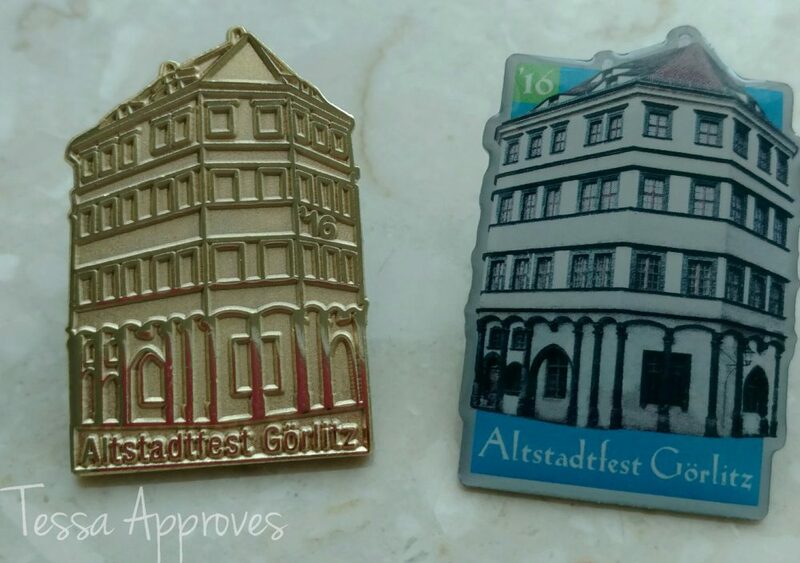 To support the Altstadtfest you can buy collectible pins, there were two on offer this year. The gold pin cost €10 and the colored pin cost €5. I look forward to collecting more!